Phil: In the book tsunami from my writing friend is a new title – The Hideaway by Sheila O’Flanagan. I can guess why she picked it. The front shows a sunny villa and the back cover talks about “the enchanting Villa Naranja in Spain”. This is sun-lounger reading in every respect. Opening it in winter is going to make you want to jump on a ‘plane for a bit of sunshine. The story revolves around Juno Ryan, an Irish radiologist who discovers that her boyfriend is married. Worse, she finds out he’s married when he’s killed in an earthquake. Along with his wife and child. For obvious reasons, this upsets her and she ends up taking up the offer of a few months unpaid holiday at a villa in Spain. There is a pool, complete with Greek God style poll cleaners. Regular chick-lit readers won’t be surprised what happens there. It is not the end of the story though. In fact, the book splits reasonably nicely into three parts and getting it on with the pool boy is in the early stages. After that, things progress and you see Juno start to recover and grow as a person. She conquers some of the demons that hold her back thanks to her family as well as those caused by her relationship with a married man who lied to her. The story is deeper and far more involved than most sunlounger fiction. It’s light enough to be pleasant, especially the running cat story arc, but involving enough that you are pleased you are reading it. The ending isn’t quite what you’d expect from the first half of the book. Summing up, the book is better than the cover would suggest. You can enjoy this while covered in suntan lotion, but it’s just as good while supping a warming cup of tea in the rain. Candice: I seem to have read a few books about World War II recently. Not specifically by choice but its just the ones I have picked up. The first was given to me by my ex-boss as a Christmas present. 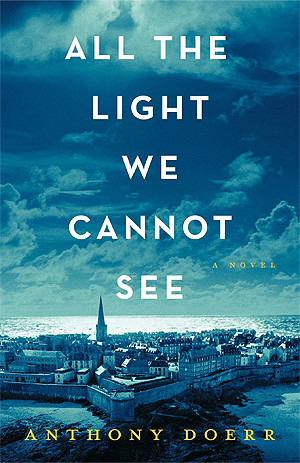 Its called ‘All the light we can not see’ and follows the story of two sides of the war. One is Marie-Laure, a blind girl who is displaced, with her father, from Paris to the coast at the start of the war. The other is Werner, an orphan living in Germany who has an uncanny ability with radios and mechanics. The two stories run in parallel as Werner is spotted by the Nazis and taken off to a camp to be made into a perfect soldier, and Marie-Laure finds out why she and her father ran, as he has been entrusted with the safekeeping of a precious diamond from the Museum he works in. The second is ‘Mr Rosenblum’s List’ and relates the story of Jack Rosenblum, German Jew who has traveled to the UK before the War and is desperately trying to find his place after the annihilation of most of his family and race at home, accompanied by the British nervousness around someone with a German accent. 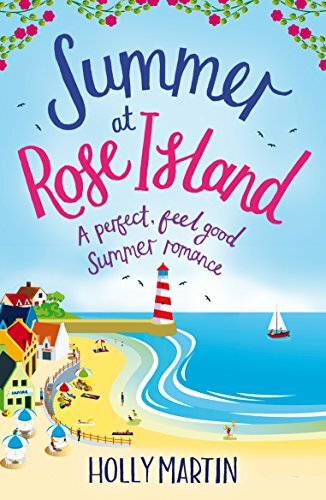 In his pursuit of a perfect Britishness, Jack ups sticks from his London home and successful business and moves to Dorset to build a golf course, something that will make him an equal with his peers. Two very different books you say, well yes, but undercut with the same dark story of the horrors of war. The first does not shy away from representing the way that your take away someone’s humanity by drilling them everyday, and how this can create a world that would think concentration camps are a good idea. Jack sees the other side as his wife particularly struggles to cope with the fact she will never see her family again, as they were unable to get visas. How hard must have that decision been, who can leave and who can stay. Neither were books I would normally read but I enjoyed them both, even with the dark subject matter. Sometimes its good to step out of the comfort zone and read something other than the ‘sunlounger’ read. And also, never to forget what happened in that war, so it never happens again.